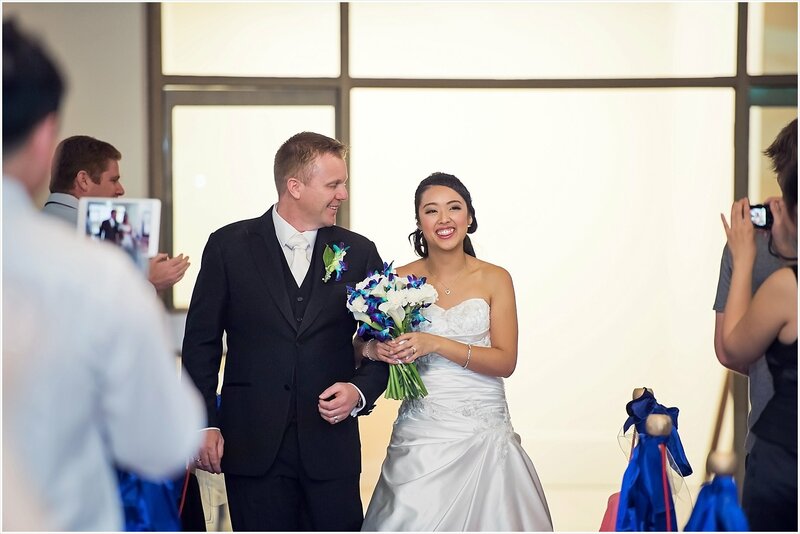 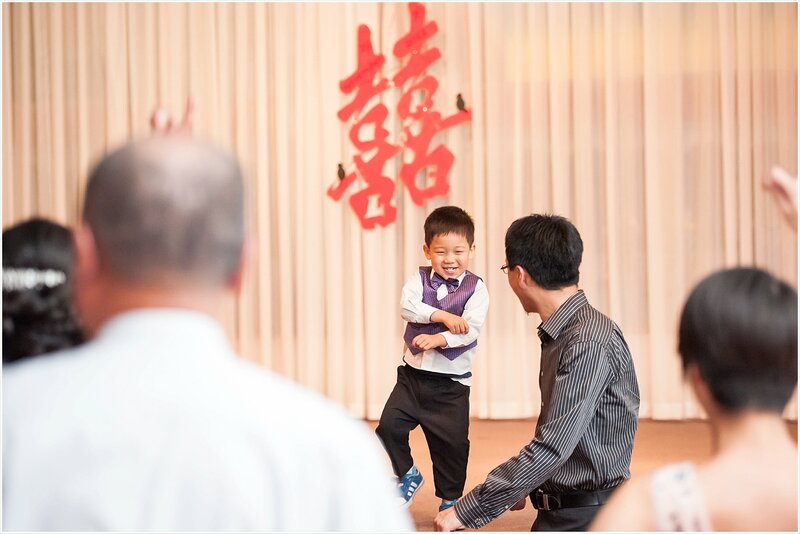 You can tell I loved my first Chinese wedding because I am doing a three part blog because; I have so many photos I want to share! 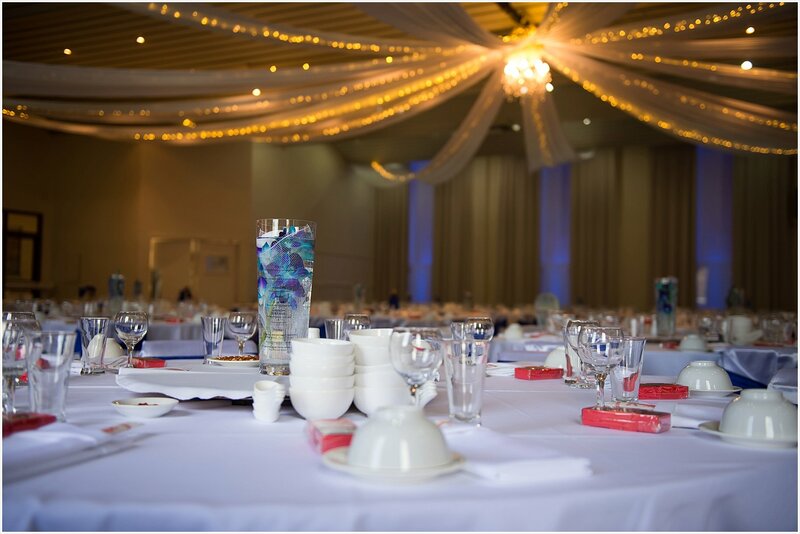 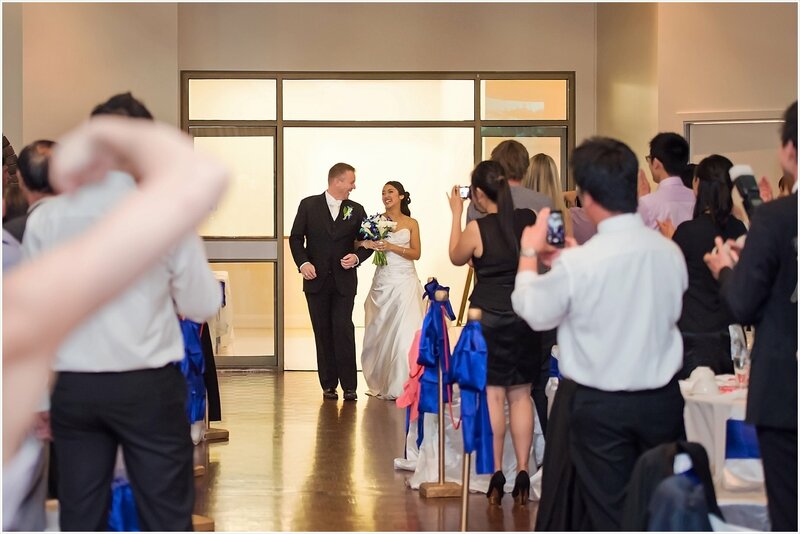 Now lets move onto the reception at the Fogolar Furlan Function Centre. 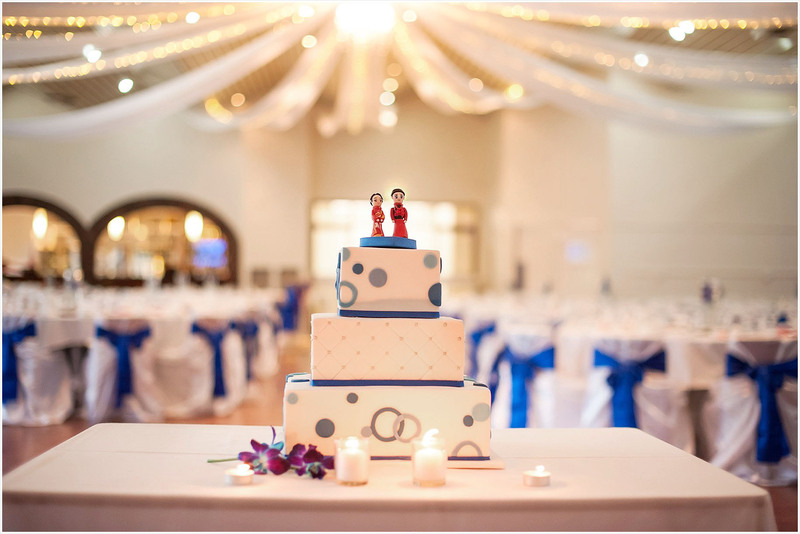 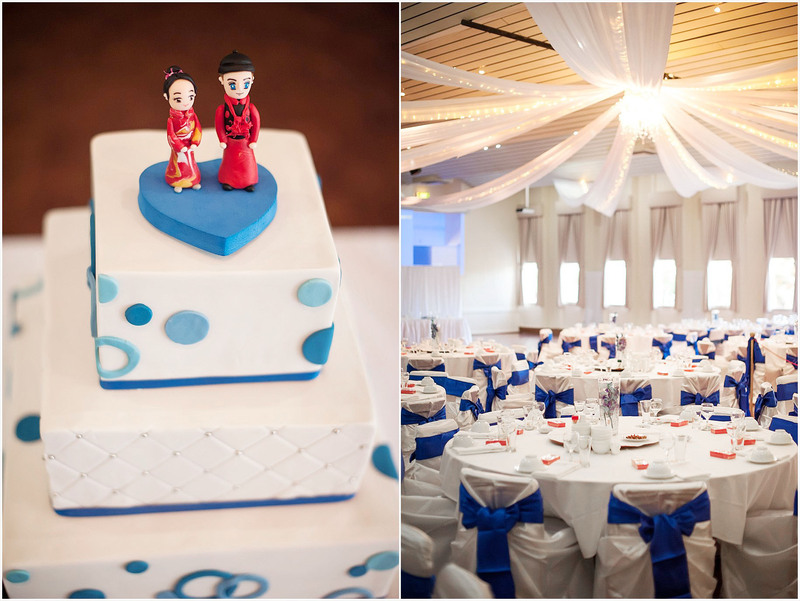 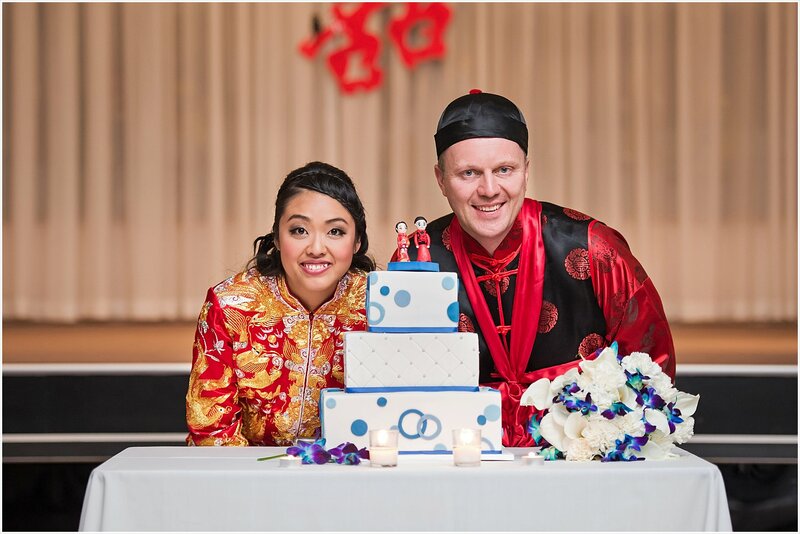 The couple wore both of their wedding outfits to the reception (though the bride and groom on the cake wore the traditional wedding outfits!). 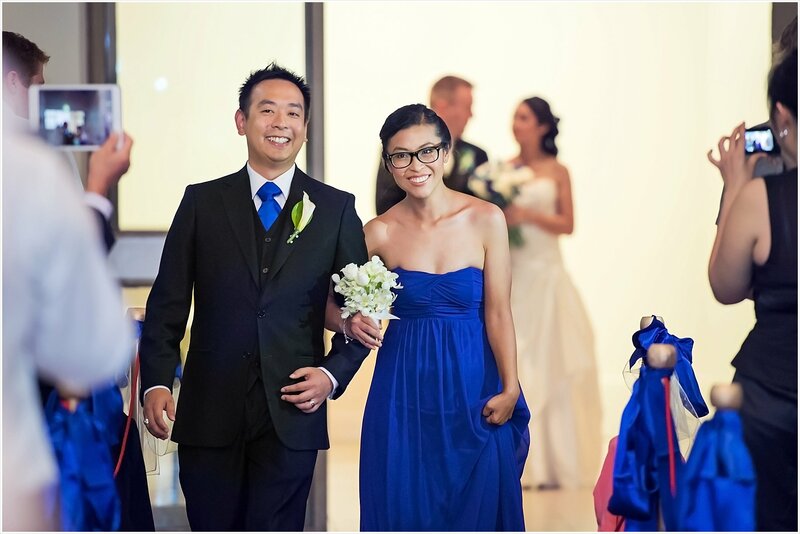 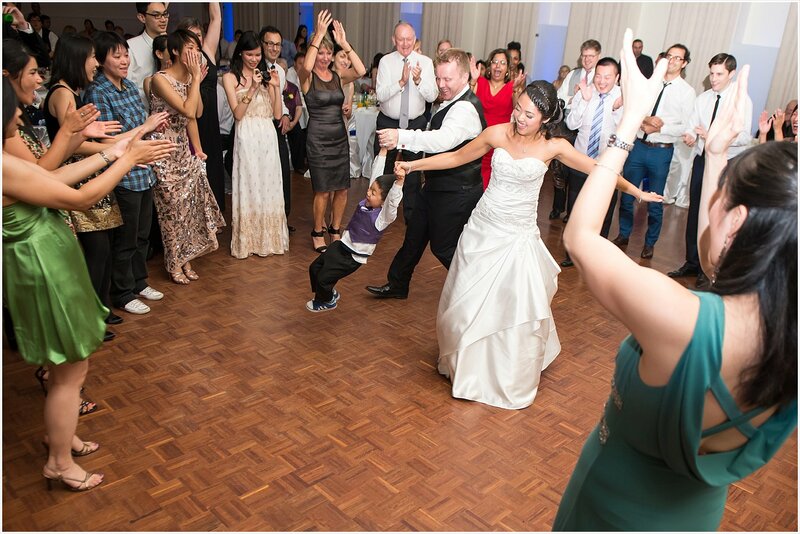 There was so much fun and love to this wedding that it was hard not to get caught up in it all. 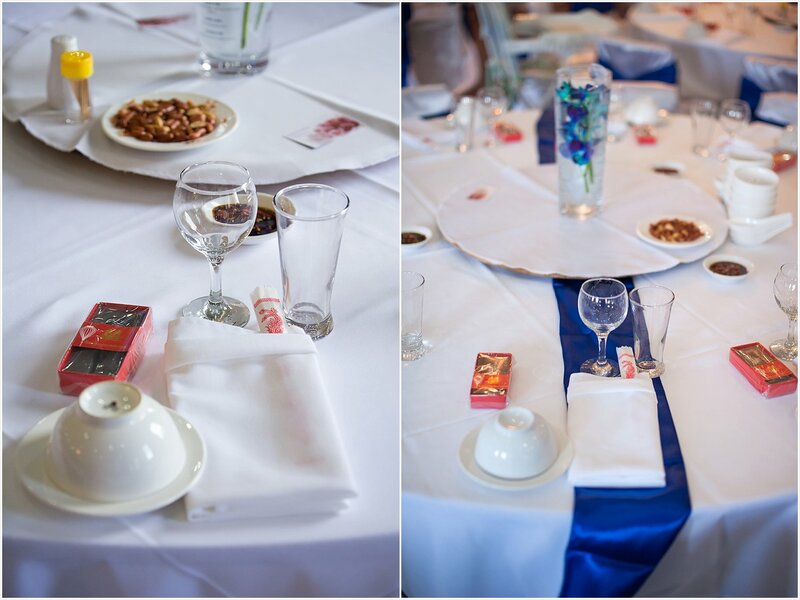 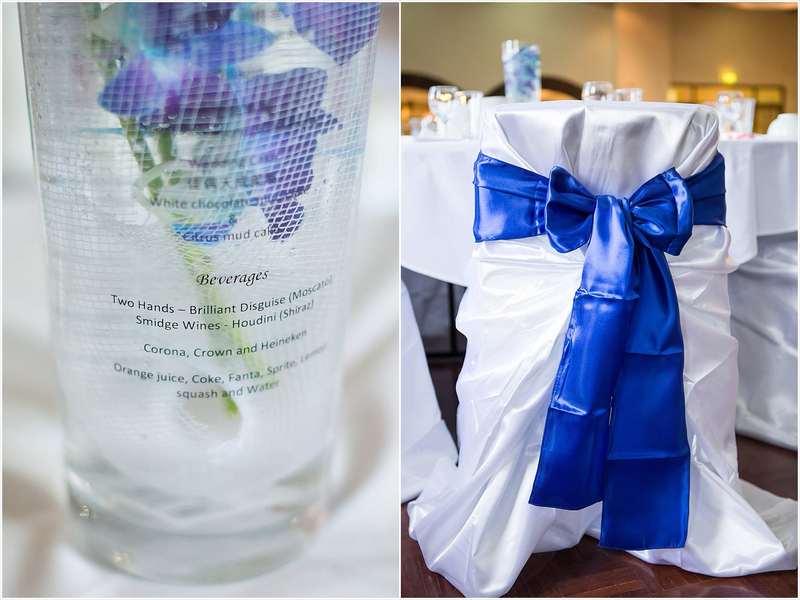 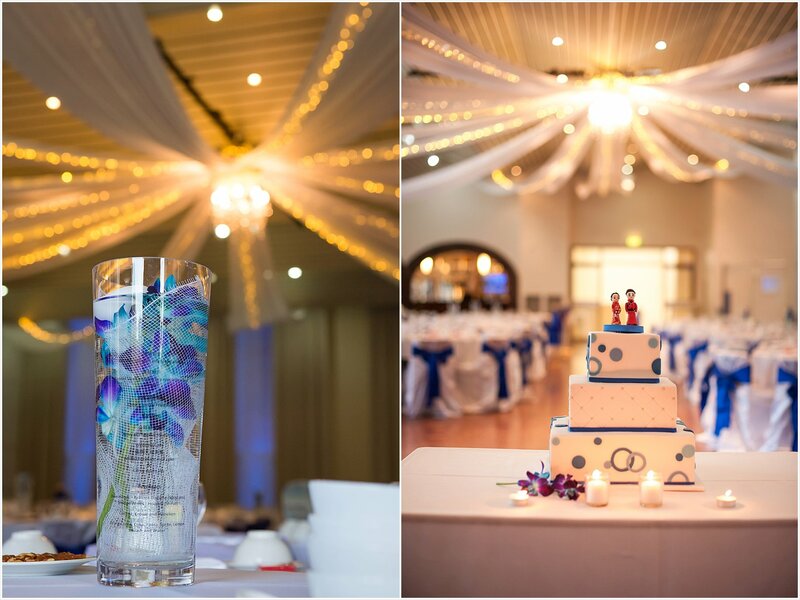 They menus were displayed in a very unique way – printed onto transparent paper that went inside the glass vases that made up their centrepieces, very clever! 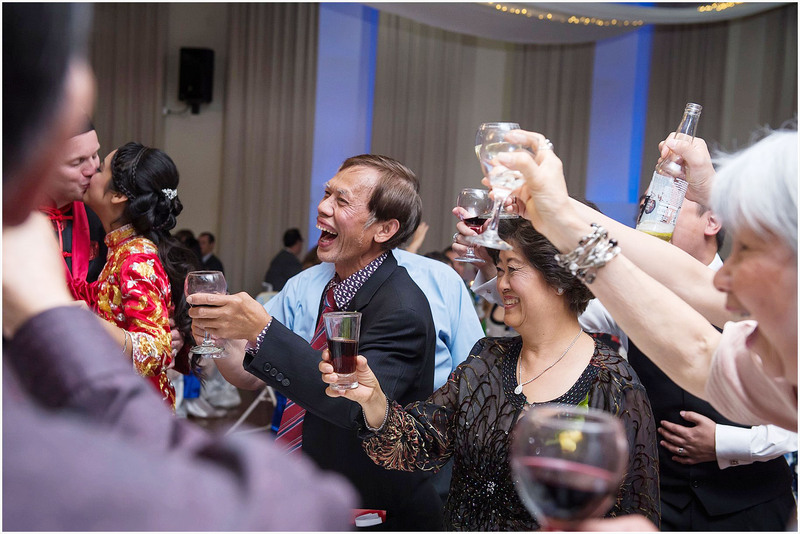 I loved that Peter and Anna spent the time to go around to each table and have a special toast with each. 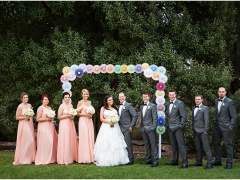 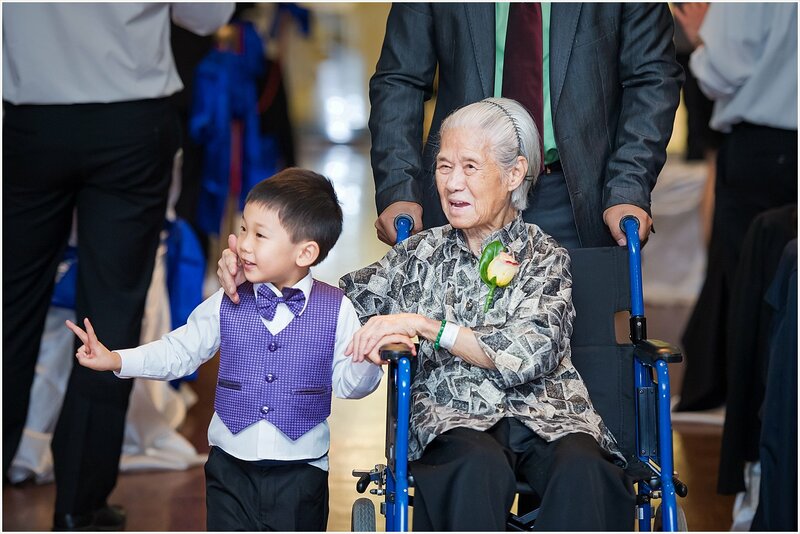 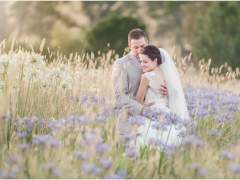 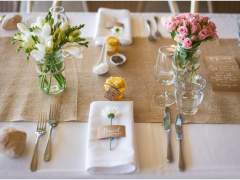 It’s very hard to get around to all of your guests with everything else going on at your wedding, but this meant that they got to spend time with all of the people who had joined them to celebrate. 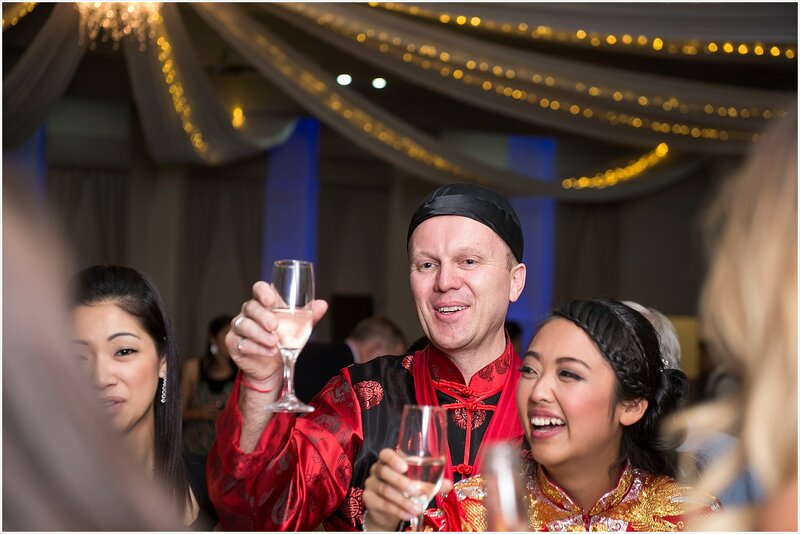 Anna and Peter were so great at schooling me up on all the Chinese wedding traditions, and the toast with each table is another awesome tradition; and as you can see, the Bride and Groom change into their traditional outfits for this. 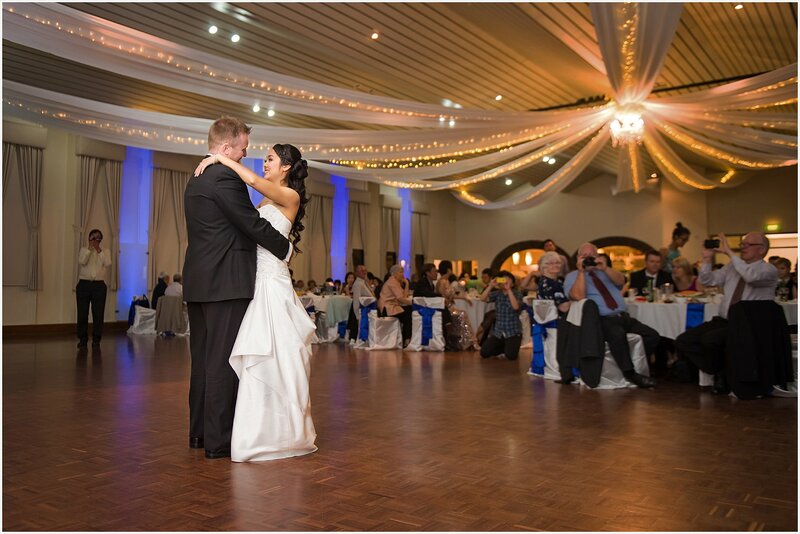 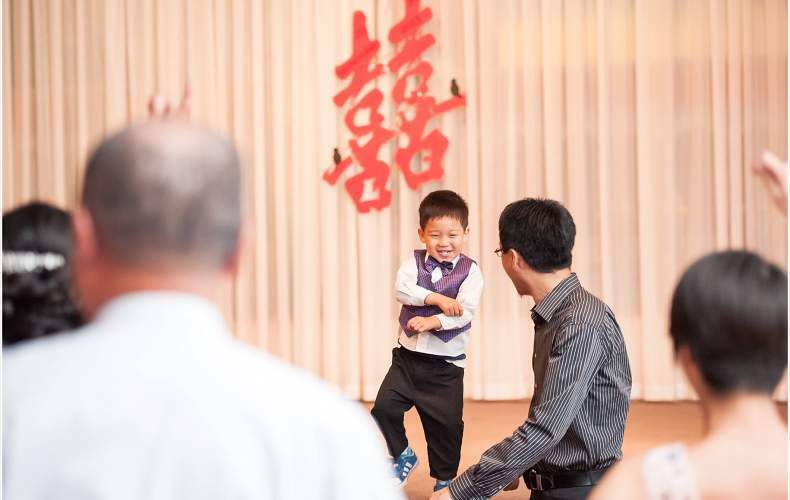 While a highlight has to be a young guest doing Gangham style on the stage at the wedding reception (and luckily the Fogolar Furlan Function Centre has a perfect stage for this! 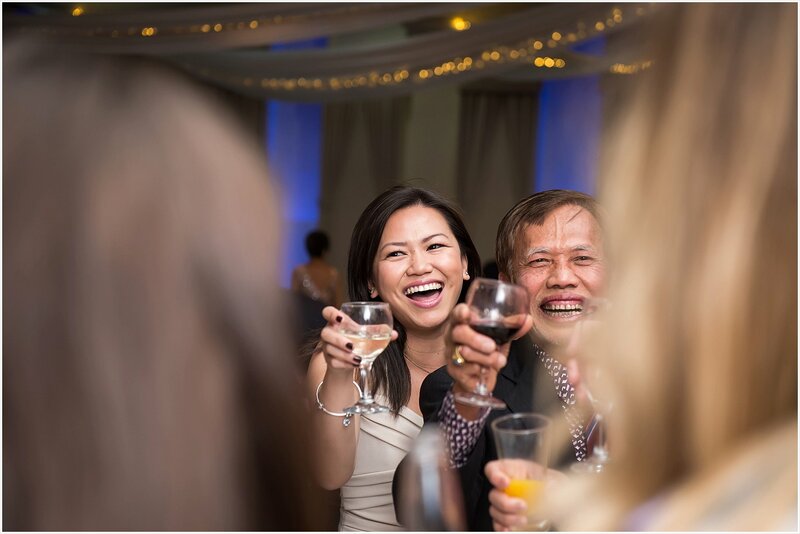 ), I have to say that my first Asian wedding was (happily) an eye opening experience and I hope to photograph many more Asian weddings in my career!